Song Of The Lark By Willa Cather Classic Novels Willa Sibert Cather (December 7, 1873 1] - April 24, 1947) was an American author who achieved recognition for her novels of frontier life on the Great Plains, in works such as O Pioneers , My ntonia, and The Song of the Lark. 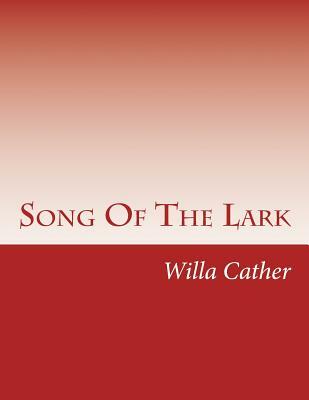 The Song of the Lark is the third novel by American author Willa Cather, written in 1915. The title comes from a painting of the same name by Jules Adolphe Aim Louis Breton. Set in the 1890s in Moonstone, a fictional town located in Colorado, The Song of the Lark is the self-portrait of an artist in the making. The story revolves around an ambitious young heroine, Thea Kronborg, who leaves her hometown to go to the big city to fulfill her dream of becoming a well-trained pianist, a better piano teacher. When her piano instructor hears her voice, he realizes that this is her true artistic gift. He encourages her to pursue her vocal training instead of piano saying ... "your voice is worth all that you can put into it. I have not come to this decision rashly.